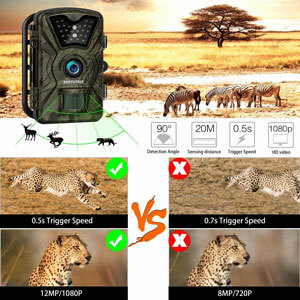 As we to experienced hunters about the top game cameras in the hunting marketplace, there is one trail cam name that comes up very frequently. 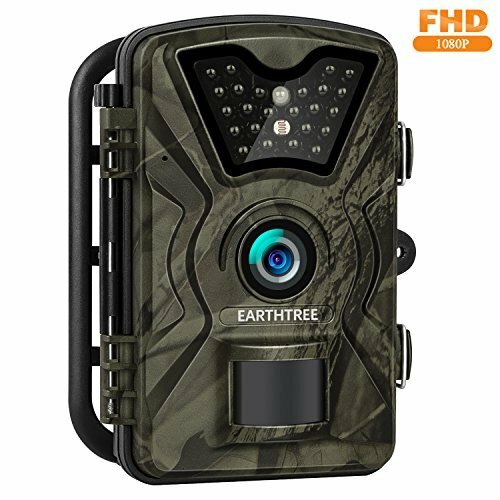 That’s the Earthtree FHD 1080P Trail Camera. We get very interested in a trail cam that gets so much good word of mouth. Read along with us as we take a closer look at one of the most popular trail cams in the market. 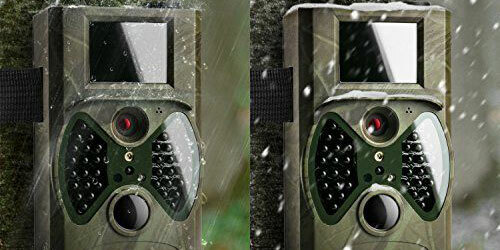 The Earthtree Trail Camera can do surveillance of a wide area of land. That’s because its motion sensor can detect movement up to 60’ in front of it. It offers a fairly wide field of view too. 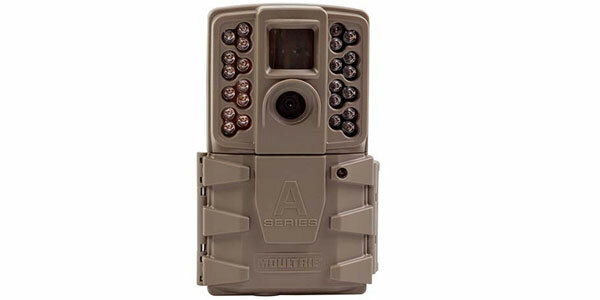 Here is a trail cam that takes a very high-resolution day and nighttime photos. Its 12-megapixel resolution will help you clearly see what animals inhabit the area where the trail cam is placed. 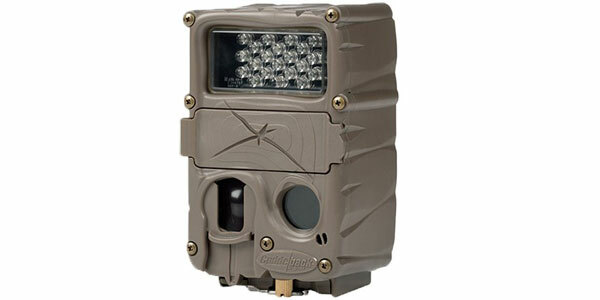 It has 24 built-in infrared LED bulbs for excellent nighttime photo taking results. This camera can also record 30-second video bursts in a variety of different camera modes. 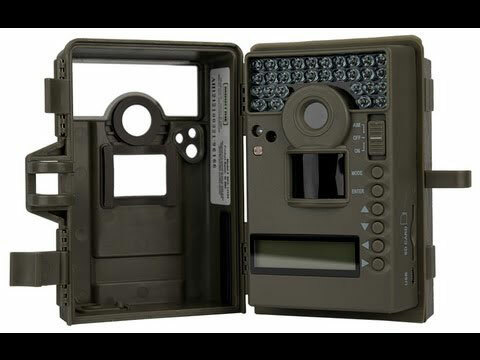 Not only can this trail camera be used for scouting game but it’s also great for tracking area wildlife and it makes a nice remote site security camera too. 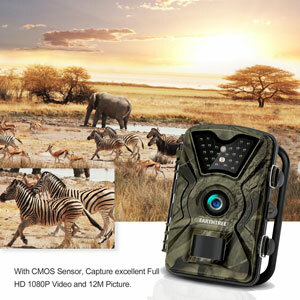 Programming is easily done with this game camera using its 2.4” display screen. The screen can also be used to view photos and videos right on the trail cam. It also has a test mode to make sure its setup the way you want it to be. This camera uses 8 AA batteries for power. 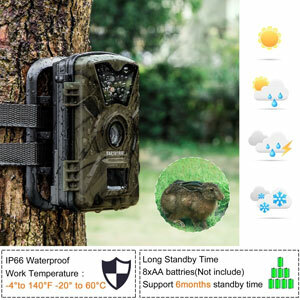 With the right settings, these will give this Earthtree Trail Camera a 3 – 6-month standby window. That means you can do a lot of scouting before you have to go change the batteries. It’s a very trough trail camera too. Earthtree claims it’s built so well it can be used in harsh climates such as the desert or a tropical rainforest. While we can’t verify that claim we can tell you it’s sealed against the weather very well. It comes with a good dual-strapping system so you can mount it on a tree or pole. 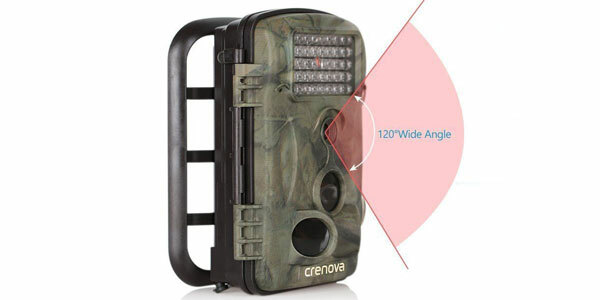 The strapping system allows you to mount this trail cam in a very sturdy way. 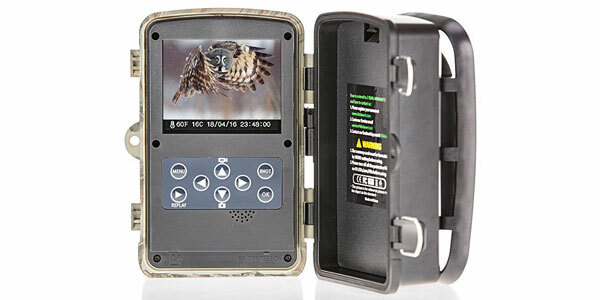 One of the absolute best features you get with this trail cam is its video taking versatility. It’s nice when a trail cam has several different video modes. You can use it in a time-lapse mode, to take video at set intervals or in a motion-activated 30-second burst mode. We also like how well built this camera is. As we discussed before it’s sealed really well and it just feels solidly built as you hold it too. The warranty with this trail cam is very average, to say the least. It is backed up by a simple 1-year warranty. It does not have any real major drawbacks to using it except for the fact you don’t get the convenience of it being Wi-Fi capable. Also when it takes photos at night these can only be taken in black & white mode. This is a pretty versatile camera. We really like that about it. It mounts easily and is very simple to program too. It has a variety of uses thanks to its day and night photo taking ability. We also really like its high-resolution photo and video taking ability. This trail cam will do an excellent job of revealing to you whether the area it’s placed in is a good hunting spot or not. With its fair price, it would be a good investment for any hunter to learn where the game is for their next hunt.